That’s the beauty of a peninsula, isn’t it? Once you’re there, it’s easy to wander around the area and pack quite a lot into a small space of time. Despite growth at super speed, Bodrum itself is still relatively compact. And, for now at least, all the dolmuşes congregate in the city centre otogar. Get there and take your pick of destination. 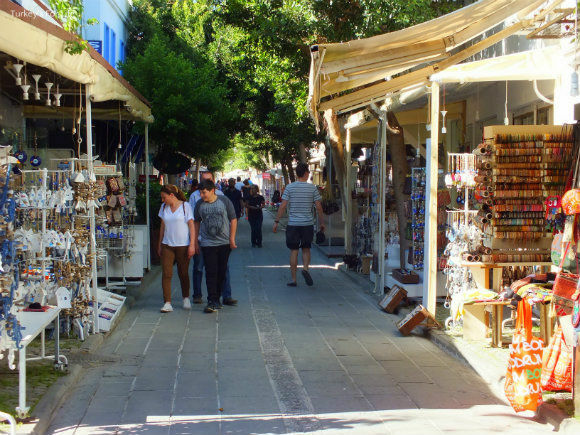 We hadn’t done any research on Yalıkavak; this was just a day for a little aimless wander – getting a feel for the personality of, and the scenery around, the Bodrum Peninsula. We made a flying visit to Turgutreis a few years ago and now it was the turn of Yalıkavak; on our radar thanks to Jack Scott’s chuckle-filled memoir, Perking The Pansies. We wanted to see if we could recognise his former home from what we’d read in the book. And thank goodness for small towns. No research meant we got off the dolmuş in Yalıkavak with no clue of where to head. A slight downhill slope through the town, though, told us that must be the way to the sea…and it was. Within 5 minutes, we were strolling along the very pleasant harbour of Yalıkavak and already feeling pleased with life. Ohh, yes, we liked it here! 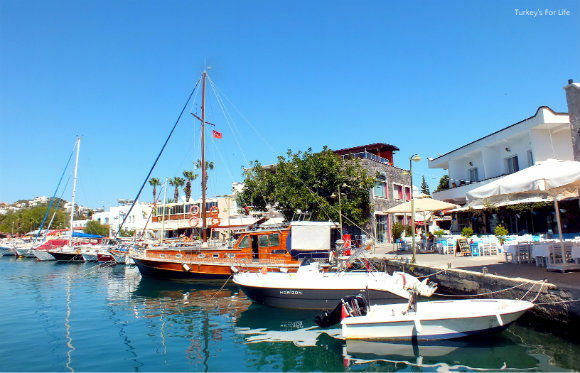 There’s a lot going on in Yalıkavak – there’s a lot going on around the whole Bodrum peninsula for that matter – and it’s certainly no sleepy town on an Aegean peninsula. No, Yalıkavak is now home to a huge swanky marina – Palmarina Bodrum – but we’ll come to that a bit later. You see, we’re suckers for Aegean harbour towns with a bit of history and a good dose of quaint surroundings…and Yalıkavak still manages to do that, too…and it does it very well. If you read up on the whole area of Yalıkavak, there are great beaches and bays, traditional villages in the hills, luxury all inclusive hotels, boutique hotels, hidden coves…but we were there for just a few hours, having a nosy around. In years gone by, Yalıkavak was a centre for sponge diving and fishing. No immediate evidence of the sponge diving history but any Aegean area with a fishing history usually treats you with a pretty seafood scene. Ahh, how can you not smile to yourself and feel happy inside when you see low, stone buildings lining a harbour packed with small fishing boats; simple gingham tablecloths adorning the tables. Most of these stone buildings are now Yalıkavak restaurants; rows of tables waiting for hungry customers. Many are serving Turkish breakfast. Most are serving a range of seafood, and, for a town that is supposed to one of the Bodrum peninsula’s elites, prices are very reasonable. We’d had our own quick seafood lunch in the centre of Bodrum before we headed off for Yalıkavak so we were, unfortunately, too full to partake in all this leisurely harbourside dining. That didn’t stop us having a little drink though; a pause to take all in and watch the world go by for a short time. Then it was time for a little wander. There might be a lot of building going on in Yalıkavak but all is low rise – those oh-so-recognisable Bodrum peninsula white-washed cuboid dwellings that grace so many postcards from the area. Yeah, give us a bit of natural countryside anytime, but at least we’ve not got huge tower blocks here. The public beach in Yalıkavak, close to the harbour, is a lovely sight. …As do the famous Bodrum windmills. Yalıkavak has its own share of windmills, too. The town is on the northwest side of the peninsula, exposed to the Aegean breezes so was an ideal location for the windmills to do their bit, supplying the local population with flour. The windmill in the photo is a restored version, placed on the harbour as a symbol of the area, for all to see. Apparently, the remaining windmills in their original locations are all being restored because someone, in their wisdom, has realised that people like us might actually want to visit them and enjoy them rather than watch them decay and crumble away. Lovely! Anyway, our knowledge of yachts starts and ends at yacht, super yacht, mega yacht. We can only assume that a giga yacht is the daddy. Yachts, for us, are those things you look at in marinas or out at sea and either admire the aesthetics or wonder what on earth possessed someone with lots of money to want to buy it. But back to Palmarina. When we eventually found the entrance, we were in a glossy arcade of designer stores and huge floor-to-ceiling windows. We walked out onto the waterside and followed the palm-lined walkway; yachts (of their various classifications) on one side of us and more designer stores and a cafe to the other. If there’s a marina around, we do love to have a bit of a wander to take some photos but when you’re not a part of the boating fraternity, to novice eyes (sorry yacht people), all of these vessels kind of start looking the same. Now, a boat yard packed with gülets under construction and repair – like the one I lost myself in, in Bodrum’s İçmeler – ahh, now we’re talking. Fascinating places! Thanks for the plug! The marina was much smaller when we lived in Yalikavak. No mega yachts in our day, only the odd sea plane dropping off the well-heeled from Istanbul to get well-oiled! You now know Yalıkavak better than me. I’m pleased it has retained its charm despite the gentrification. we went there about 10 years ago, in july/august, and it was still pretty quiet and laid back even at the height of the season. i did get bitten extensively by mozzies in the little garden cafe around the windmill, though. we stayed quite a way out of town, and only managed to walk in once! taxis EVERY TIME after THAT little adventure! used to love dining on the edge of the harbour, seing the sun set over the mountains across the harbour. Thanks a lot for your comment. 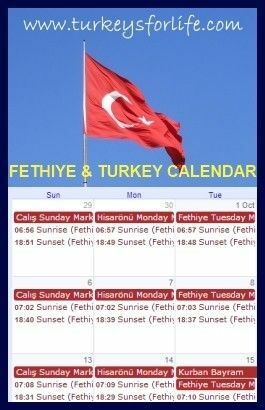 🙂 Think we’re pretty immune to mozzies now and in April, there weren’t any in Yalıkavak anyway. Still lovely and cool. Ha ha, sounds like an adventure walking into town from where you stayed.